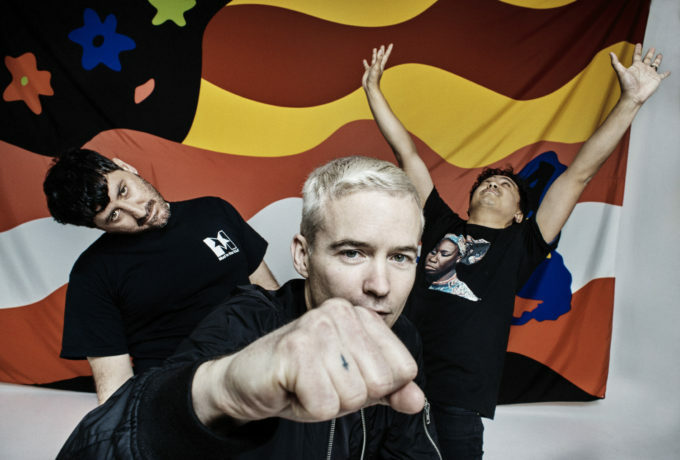 Aussie serial samplers The Avalanches have popped out the video for their new single ‘Because I’m Me’. The latest track to be lifted from their new album ‘Wildflower’, ‘Because I’m Me’ features a sample of Six Boys In Trouble’s ‘Why Can’t I Get It Too?’, but also another that will be familiar with fans of Aussie pop divas. The second is Honey Cone’s ‘Want Ads’, which was released back in 1969 and is perhaps better known to us pop aficionados as the sample used in Ricki-Lee’s second ever single ‘Sunshine’. Back to the video, however; set on the New York Subway, it features a young man desperate to catch the eye of the ticket booth attendant. And he’s hell bent on doing just about everything within his power to do so. A brass band, a rapper, dancers and some smooth moves. What’s it going to take to impress her? Best you find out.